Okay, so you’re either ready to dive into this crazy world of publicizing through social media or you’ve already started and you’re finding it difficult or frustrating to go to each site you’ve chosen, know when you posted last (or how many times a weeks you will post), and how to keep your posts on each site fresh and interesting? 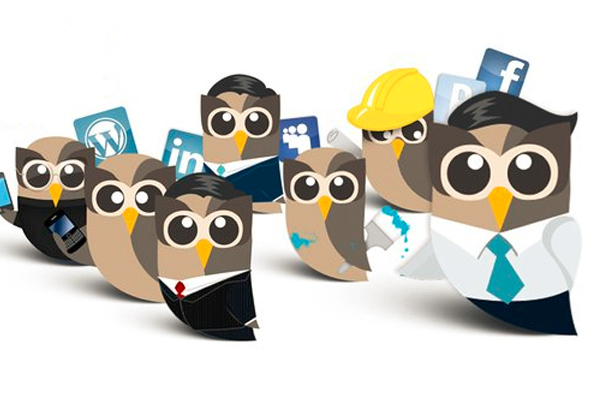 The makers of Hootsuite saw a need and filled it with their services. I learned the basics of this social media account manager from Ad-Astra, the literary speculative fiction conference I attended recently. While there may be other platforms that offer the same or similar services, I was advised that Hootsuite is the easiest to learn and it’s FREE. The free version allows you up to 5 different social media sites to link to from it’s dashboard/organizational home page. It gives you basic analytical data so that you can track who is visiting which sites on what days and which posts are getting the most face-time. Yes, Google Analytics will do this for you as well, but that system can be confusing and can best be used after you learn the ropes with a simpler system. There is a resource library and a blog to handle your questions. Basic scheduling – if you’d like a post to go live at the same time every day, or a certain day of the week, you can write it in advance and set it to post when ever you’d like. It is a secure site. Once you’ve signed up, you link your social media accounts to the home page: facebook, twitter, blog, G+, pinterest, LinkedIn, tumblr, flickr, etc. Once you have adjusted your settings, you pick and choose which media site you want to post a message or article on, compose it, and make it live (send it to that site). All of your social media will be in one place at your fingertips, making organization with multiple sites much easier. Social media is the biggest channel for brand and business development by staying connected with people around the world and tell them what is happening in the industry. I do agree with you that social media is a perfect organizational channel for business and its pleasures to read the benefits of Hootsuite in managing social media campaign.